Having a baby is an incredible time in a woman’s life, but after the baby is born comes the challenge of losing weight after pregnancy. Many new moms are eager to shed the excess pounds soon after their babies are born, and as long as you’re not breastfeeding, phentermine can offer a great way for you to shed the pregnancy pounds. However, there are important guidelines a mother should follow in order to lose weight in a way that is healthy for both mother and baby. Here we explain the healthy approach to losing your baby weight with phentermine. While mothers who are breastfeeding or expressing milk will NOT be able to take phentermine, if your baby is onto bottled milk then you will be able to look into the possibility of getting some extra help from phentermine to lose weight after pregnancy. Doctors will vary in their approach to prescribing it, with some reluctant to give it to new moms any sooner than six to eight months after the birth, while others are prepared to prescribe it at around 12 weeks after birth. Many new moms lose weight quickly and naturally in the 8-12 weeks after giving birth so it is not advisable to take phentermine straight away. But, after this initial period of weight loss, if your weight begins to plateau and you’re still not at your pre-pregnancy weight, then phentermine could give you the help you need. If you started out at a normal weight and BMI prior to your pregnancy and gained the 25-35 pounds your doctor probably recommended, it shouldn’t usually take more than two to three months to get back to your pre-pregnancy weight if you exercise and try to eat healthily. However, if you were overweight before your pregnancy or you put on more weight than your doctor advised, it could take much longer to get the weight off. In this case, phentermine could be the best way to stop these extra pregnancy pounds from sticking around for too long, and a great chance for you to get down to a normal BMI and set the right example as a fit and healthy mom. Phentermine works by suppressing your appetite and giving you a boost of energy. So, with the sleepless nights you’re likely to experience as a new mom, the added energy from phentermine will give you a boost to exercise when you have time. And, the appetite suppression will allow you to make good food choices when it’s hard to focus on yourself and your own health needs. However, you need to be patient with yourself and your body – this isn’t a race to snap back to where you were, or where you wanted to be prior to your pregnancy. Your body and your priorities have changed, so while phentermine is known to help people lose weight fast, aiming for fast weight loss is probably not the best for you at this stage. So as to take things slower, your doctor might advise taking a lower dosage than the maximum 37.5mg in the hope that you will experience fewer side effects. And, it could be a good idea to set your calorie limit a little higher than what’s usually recommended for those taking phentermine, so that it’s easier to get the added nourishment your body needs at this stressful time. Many of the latest diet fads restrict carbohydrates, which is a no-no for new moms for many reasons. Carbs are typically fiber-rich, they help you feel full, and they’re your brain’s main energy source. Cutting out over-processed simple carbs like white pasta, bagels and white bread is a good idea, as they are transformed into sugar by your body, but you should still eat plenty of complex healthy carbs like brown rice, whole grain pasta, quinoa, and whole grain bread. Time will not be in great supply after your baby is born and it will be easy to forget to eat, which won’t help your weight loss efforts as you need to eat to lose weight. When you get the chance to go to the store, stock up on healthy foods for snacks and simple meals that take no time to prepare, such as yogurt, fruit, nuts, salad vegetables, and whole grain bread and cereal. Having easy access to healthy foods means you’ll be less tempted to snack on chips and candy for convenience. Going for a walk with your baby is a good workout, as pushing a stroller will increase the amount of calories burned, and it helps to work out arm muscles too. So put on some sneakers and hit the pavement for 30 minutes after breakfast, before baby’s nap or during the fussy hour when baby gets a little restless. If the weather isn’t so great, use the time you’re playing with your baby as a mini workout; lie on the floor and lift up baby or squat down and pick baby up – you’ll be bonding with your baby and working out your muscles at the same time. Or make your baby laugh by dancing to some music videos in your living room, which will give you and baby a great mood boost! Phentermine will give you extra energy but you also need to eat often to keep your energy levels up and to stop yourself from getting overly hungry. You should be grazing on fruit, vegetables and lean protein sources between meals. This will help you to lose weight after pregnancy as you can avoid ending up binging on sugary foods which will cause your blood sugar to spike and fuel cravings for these unhealthy foods. Constipation can be a problem for many women post-childbirth, and phentermine can add to this problem too as constipation is one of the side effects of the medication. To prevent it, drink at least eight glasses of water each day, and even more if you feel thirsty as a result of dry mouth, the most common phentermine side effect. 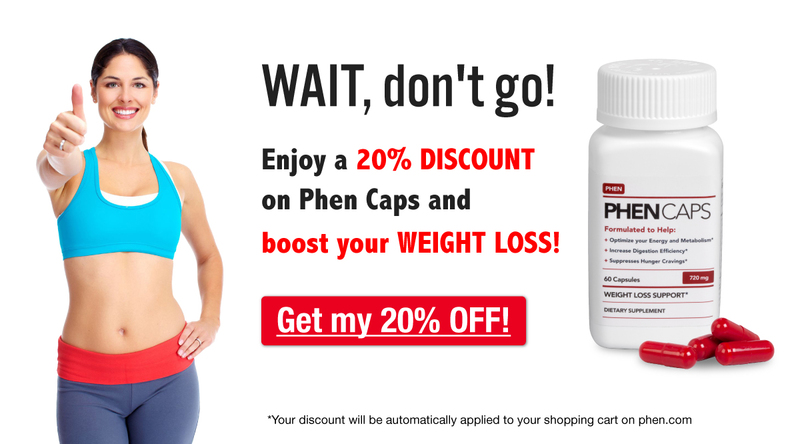 If you do have trouble with dry mouth then Phen Drink is the perfect solution, and it boosts weight loss too! Low fat milk is good to drink, as it provides essential calcium, but stay away from caffeine, as it can cause dehydration, which doesn’t help with constipation. As for fiber sources, you can find out the top ten fiber-packed foods here. We know you’re thinking that this is easier said than done, but being sleep deprived will make it harder for you to shed the baby weight. One study showed that new moms who slept five hours or less a night were more likely to hold onto their extra pregnancy weight than women who slept seven hours. When you don’t get enough sleep, your body releases cortisol and other stress hormones which can promote weight gain by increasing cravings for unhealthy foods and slowing down metabolism. You’re also less likely to want to do physical activity if you’re tired. If you’ve been told by friends and family to sleep when your baby sleeps then listen to their advice; catch as many naps as you can during the day and go to bed early, at least until your baby starts sleeping through the night. Phentermine can cause insomnia as a side effect so if you have trouble sleeping then you should speak to your doctor about reducing your dosage. In addition, the supplement 5-HTP, one of the premium ingredients in leading multivitamins Phen Vites, can help to regulate your sleeping patterns while also boosting the effects of phentermine. Losing weight following the birth of your baby is very important, as the eating and activity patterns you set during this time can help you lay a foundation of healthy behavior for the rest of your life. However, it’s important that you set realistic goals as even with the help of phentermine, it may take up to a year to return to your pre-pregnancy weight, depending on how much you gained while pregnant. Slow and steady weight loss is always the healthiest approach for everyone, but especially for all you moms out there who also have to let their bodies heal and think of what’s best for their baby too. We’d love to hear from any moms out there about how they plan to lose their baby weight, or what strategies worked for them, so please comment below!